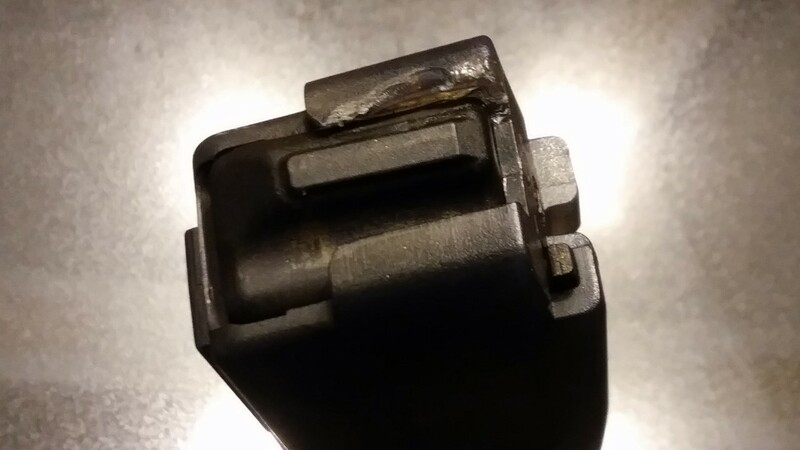 I took my new Scorpion Micro to the range today and had one of the original 20 round magazines fail. Evidently the problem with the plastic feed lips hasn't been completely taken care of. The pistol has only about 400 rounds through it so it's not as if it's been fired a lot. I contacted CZ and they said they would email a return label so that I could send it back to them for a free replacement. I never received the label, so I guess I'll give them a call on Monday to remind them. I mentioned to the CZ representative that I had heard that CZ has had past troubles with the plastic feed lips and asked him if the newer models have been improved. His only answer was to suggest that I could buy other brands of magazines such as those that come from PSA that do come with metal feed lips to eliminate the problem. I guess it will be PSA mags for me in the future. I like the looks of the new Magpul mags but I see that they don't have metal feed lips either. I've never had a problem with P-mags even with plastic feed lips. On the plus side, I had a chance to try my new Palmetto Armory 35 round magazines also today. They feature metal feed lips. So far they have functioned perfectly. The only bits of criticism that I can come up with them is that there are no windows to show how many cartridges are in the magazine, and they do not drop free when the mag release is pushed. I'm not concerned with that, but I've seen that a small file and a minute or two can solve that problem. The PSA mags are only $19.99 and seem to be built pretty well. We'll see how they hold up over time. They told me the same and like you I didn't receive a label. About a week or so later I received a 30 rd mag replacement for my 20 rd. I had 3 springs cut and only ever loaded 15-18 rounds to try and avoid the problem but it still happened so I'm guessing it had more to do with oil and plastic degradation. Mine looks very similar to yours and its still functional not that I would trust it for anything other than range use. I'll give them some time and see if they send out a replacement magazine. In my case, I've only had my Micro about a month, so I doubt that oil or plastic degradation could have had any affect on why my magazine broke. Mine must have broken while in use because when shooting it, I had what I thought was a misfire. When I removed the magazine to clear it, I had two or three loose rounds fall out through the magazine well. There's no way that my magazine is still usable. 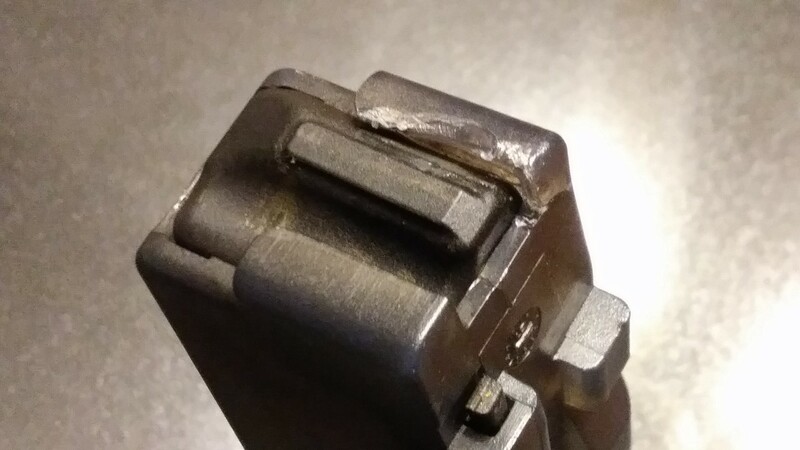 I was going to purchase some of the newer 30 round CZ magazines, but after this failure I think I'll stick to ones with the metal feed lips. The Palmetto Armory magazines that I purchased have that feature and worked perfectly on this range trip. But that was the first time that I used them, so it's a little early to call them 100% reliable. I’ve run factory 20s since I got my Evo several years ago, and while I’ve had no issues I wish there was a better option for 20s. I did get some PSA mags and other than the tight fit and occasional fail to hold open (both easy fixes with a file) they ran great. I think if Manticore was gonna do 20s we’d have seen them by now. Hoping PSA or Magpul might bring 20s one day. The factory 20s cracked in the feed lips just after a few range trips. Recently picked up the new windowed CZ factory 30s. Seems to be durable than the older translucent mags. I’ve run factory 20s since I got my Evo several years ago, and while I’ve had no issues I wish there was a better option for 20s. Hoping PSA or Magpul might bring 20s one day. I agree. In some cases like if you're shooting from a rest, a 20 round magazine just works out better. It seems today that the trend is to go for higher and higher capacity magazines, and that's great most of the time, but sometimes a shorter magazine just works better. I know that prepping for that SHTF scenario is popular, but sometimes a little relaxing range time is in order. Hopefullly magazine manufacturers will respond to this by coming out with some magazines that address that need.